The EnerSys® range of PowerSafe® OPzV batteries is suitable for a broad range of applications including telecommunications, power generating stations and distribution systems, railway, airport and seaport signalling, computing, emergency lighting, automation and measuring systems. The PowerSafe OPzV range of valve regulated lead-acid batteries uses a proven combination of gel and tubular technologies to offer a very high level of reliability. These single cells benefit from an optimised plate design that gives capacities in excess of the DIN standard values. 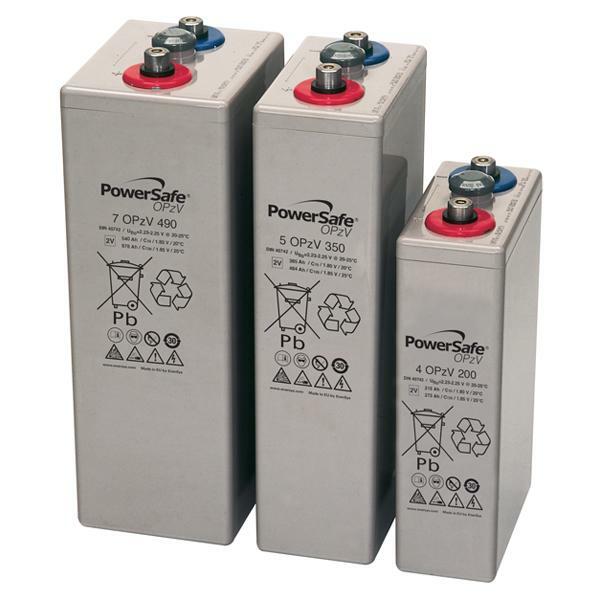 In addition, the PowerSafe OPzV range of batteries offers both an excellent float life and a high cycle life for a truly flexible solution.